When the business started in Nigeria some years ago, it was considered a service that will be for the high class in the society as the cost of printing pictures was much higher and expensive when compared to normal analogue photography. Things over the years have changed as the service can now be afforded by more people as the prices have become less expensive. Those in the business are currently enjoying it due to its high patronage and demand for its services. Photography business involves taking pictures of people with a professional digitals camera for the purpose of making money. The pictures could be of individuals like passport photographs or group of people. The good thing of this business is that it can be done on a small scale level as it does not need to be started with a lot of money. 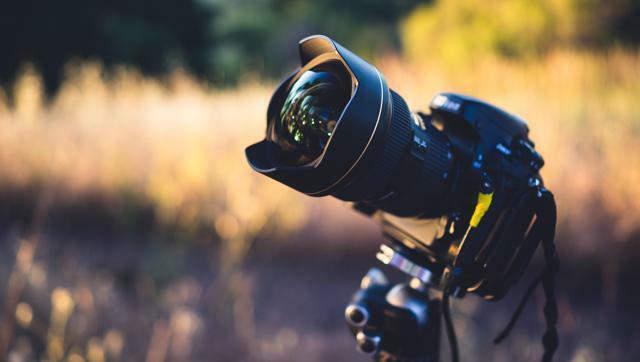 With proper planning and preparations you can start your own photography business with little money and grow gradually making a success out of it. Digital cameras are able to produce great quality and durable pictures especially when compared to analogue cameras. Copies of digital pictures are produced through a process that makes them come out coated and makes them to be water proof thus enhancing their quality and durability. Apart from its quality and durability, digital pictures also have the advantage of being able to last for a long period of time. The pictures from digital cameras unlike analogue cameras are not affected by water and dust and also do not easily get marks or cuts which make them last for a long time, in fact for years to come. We are now in a fast paced environment and people are on the move. This situation allows digital photography fit in very well in the economy as taking pictures with a digital camera is fast and almost instant. People some times need pictures like passport photographs that they did not plan for and with digital photography offering an option of “wait and get”, people can take a picture wait a few minutes and collect and be on their way and still be able to easily meet up with any requirement the pictures are needed for. Nigerians are fun loving people and always ready to have a good time. With this in mind there are always events and parties that happen on a daily basis. Also there is the need for people to have good memories of these events and therefore opt for the use of a photographer. Also because there is the need to look good, this means people will go for the quality of a digital camera over an analogue camera. Also people need pictures for official purposes including meetings, functions, seminars and lots more. It should be noted that a lot of colour picture laboratories have since changed their equipment and tools to those of digital which shows the trend has been changing for some time. Yes you need a computer, if not 2 at least one for a start. The computer is use to view images from the Sdcards captured already. You also need extra SD cards. The Space; Photo Studio is your stationary point when you do not have any out door job. When choosing your space, it advisable to get a place that is visible for your targeted customers. This are materials; black clothes, flex or nice background your customers will use to snap their pictures. It advised to get different backdrops, different customers with different choices. In space where the power supply is minimal, please get a generator to keep you on when the power is gone. You never can tend. The aforementioned equipments is necessary to start with if getting into this line of business. I most case you do not necessary need all the mention above equipment if you do not want to venture into this business full time, a Camera , computer and Printer will be just find to start with. Over to you, what do you think about this business, drop your comments below.